A subsidiary of Cerberus Capital Management — a shadowy equity firm with political clout — has quietly tapped into the housing market in North St. Louis County, turning a tidy profit by renting homes to low-income tenants with help from the feds. The problem is some of its properties border radioactively-contaminated Coldwater Creek. When North County resident Bob Terry viewed a KMOV-TV news report earlier this year about a New York-based real estate company buying up homes in his old neighborhood, he immediately noticed one glaring omission — the account failed to mention that the properties border on radioactively-contaminated Coldwater Creek. The Florissant native alerted others to the flub via Facebook, pointing out that the streets featured in the news segment — Mullanphy Road and Aspen Drive — were next to the stream that is known to have been polluted by nuclear waste dating back to the Manhattan Project, some of which is still being cleaned up by the U.S. Army Corps of Engineers. “Every house on those two streets faces or backs on the creek,” wrote Terry, who grew up in the neighborhood. In his Facebook post, Terry questions why the federal Department of Housing and Urban Development would subsidize low-income rental property in an area known to be contaminated with radioactive waste. The the absentee landlord and long-distance benefactor of this federal largesse is CSMA-BLT LLC, a Delaware-registered corporation and subsidiary of Cerberus Capital Managment, the monstrous equity firm based in New York City that is valued at $30 billion. 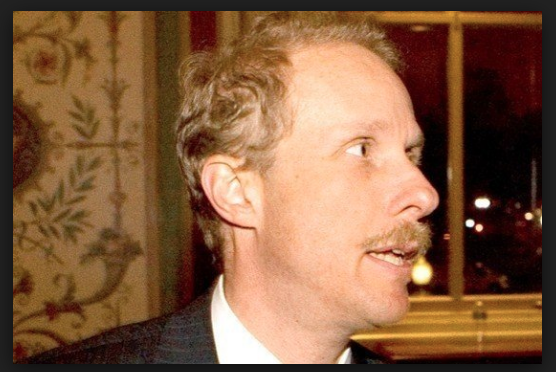 The privately-owned conglomerate, co-founded by Stephen Feinberg, began acquiring the properties in 2015 during the Obama administration, when it purchased more than 4,000 residential properties in the Midwest and Florida from BLT Homes, including more than 600 in St. Louis County, according to county assessor records. It didn’t take long for the acquisition to yield taxpayer dollars. By 2016, the Cerberus subsidiary received more than $480,000 in federal funding for its government-subsidized rental properties in St.
Louis County , according to KMOV. Monthly rents for the residences in Florissant average $1,000 or more. Cerberus’ investors include government and private pension funds, non-profit foundations, major universities and insurance companies. Besides real estate, Cerberus holds a wide range of other assets, including Dyncorp, a huge defense contractor that supplies mercenaries and covert operatives to the military-intelligence establishment. The investment firm divested itself earlier this year of Remington, the arms manufacturer that mass produced the AR-15 assault rifle used in the 2012 Sandy Hook school massacre. Cerberus was founded in 1992 and is named after the three-headed dog that guards the gates of hell in Greek mythology. The firm has longstanding ties to the Republican Party. The boss of its international arm, for example, is former Vice-President Dan Quayle, who was implicated in the an Iran-Contra scandal during the Reagan-Bush era. As in all administrations, buying presidential influence comes with a hefty price tag: Cerberus CEO Feinberg contributed nearly $1.5 million to a pro-Trump PAC in 2016. As a result, his generosity has garnered him even more access to the corridors of power inside the White House. At this point, he probably could get away with murder. Last week, President Donald Trump appointed Feinberg to be chairman of the President’s Intelligence Advisory Board, which oversees national security issues and provides advise to the executive branch on matters related to various intelligence agency operations, including those of the CIA.